I never used to be that bothered about what I put in my body. I would either binge eat foods full of fat and sugar and not much else or I wouldn't eat at all and just survive on coffee for weeks at a time. When Dave moved into my flat all I had in my fridge were two months-old cans of Fosters lager and a pint of milk. It wasn't because I was at war with my body - the cause was a mix of sheer idleness (not that couldn't cook I just chose not to) and finances. I lived on my own for a long time and when money was tight food was the first thing to drop off the list of priorities. Similarly if I had cash to burn it went on takeaways and chocolate. I wasn't getting the right vitamins or minerals that I needed and as a result my skin was lack-lustre, I had absolutely no energy and was constantly tired. I was also fairly irritable all of the time too. I started taking vitamins and minerals around three years ago - not as a substitute to food (god knows I eat better now than I think I ever have done before as I have to feed Dave every day) - but as a way of simply trying to put some of the goodness back in. So for those of you that are interested in which ones I take and why here is the explanation for you. I've got a fairly good immune system. My formative years were spent living above a veterinary surgery so I was exposed to a lot of germs and bacteria from an early age. Plus, my parents didn't think twice about letting me play in mud or eat daisies or whatever foul things I did when I was little, which helped a lot. My theory is that the dirtier the child gets the happier the immune system will be. However, my fruit intake (and mud intake) is poor now that I'm an adult and so I try to combat this with the Vitamin C tablets. Prevention is always better than cure when it comes to the immune system. I swallow enough pills as it is so I went for the effervescent ones so I can dilute them in water and quickly drink them down. Slightly childish but I like prefer it that way. I don't eat nearly as much fish as I should do. Save the odd tuna jacket potato and the occasional fish dish when I'm out in a restaurant I rarely eat fish at home. I think it stems from the fact that my own mother would run a mile if anyone even so much as waved a salmon sandwich in her direction. Fish oils are necessary for a multitude of reasons: healthy heart, lowered blood pressure (heart problems run in my family medical history), they've been found to reduce the risk of Parkinson and Alzheimer diseases as well as maintaining healthy hair, nails and skin. I take the tablet form although as a child we were encouraged to drink the liquid form. Disgusting. My brother, thinking he could drink the whole bottle and never have to touch it again decided to down the whole lot and promptly threw it all up over the kitchen. Double disgusting. Because of a poor diet, a wariness of hot sunny days and my lactose intolerance I feel the need to supplement my diet with Calcium and Vitamin D. I'm pretty sure that all I'm really doing is swallowing a bit of chalk once a day but I'm continuing with them after the doctor informed me, looking at a recent X-Ray, that I have the bone density of someone far older than my relatively young 24 years. Cue my dad going mental at me for not looking after myself a little better. Calcium and Vitamin D are essential when it comes to healthy bones and teeth. Vitamin D is also essential because it's the vitamin the body needs to help absorb calcium. They come hand in hand. If you keep covered up in the sun (like me) or have a food allergy like lactose intolerance then I highly recommend that you start taking these tablets. They're so important and will ensure you don't develop bone problems later on in life. Vitamin E is best known as an antioxidant which is essential when it comes to fighting off free-radicals in the body that can cause Cancer. Cancer runs in my family on both sides and therefore anything I can do to prevent it or put it off is going to be top at the list of my priorities. Vitamin E not only fights free-radicals but it can contribute to a healthier heart, lower cholesterol levels, help to keep neurological functions in tact and helps the genes that repair muscle and tissues around the body. Vitamin E really is essential in a modern life. If you're not taking it then I strongly suggest you do. You might be thinking 'Helen, you already take all of the other vits - why are you now taking a complete multi-vitamin?' Well, I'd rather have too many vitamins than too few and as my diet isn't amazing, even though now I eat at least one proper meal every day, I still need minerals such as Zinc and Folic Acid. Multi-Vitamins and Minerals provide all of the minerals that you need day to day. Even if you can't be bothered to faff about with all of the other types of vitamins available on the market then the least you can do to help maintain a healthy body is to take a Multi-Vitamin and Mineral supplement every day. There are specific brands that now target their products towards either men or women which are worth looking into although I predominately take a one-tablet-fits-all approach. Whilst I advocate taking vitamin and mineral supplements always always follow the guidelines for taking them. If the packet says 'one a day formula' then stick to it. Vitamin and Mineral supplements should always be treated like medication and therefore if you take too many at one time you can have the 'overdose' effect afterwards. Side effects, although rare, are also a possibility and this includes stomach aches, diarrhea, vomiting, headaches, dehydration and teeth staining. 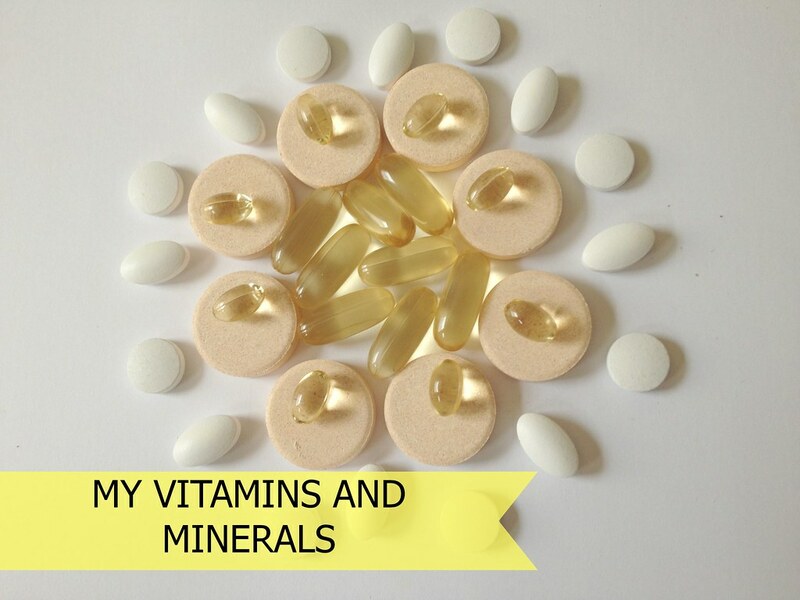 Which vitamins and minerals do you take? I don't take vitamins but I take yeast plant. It's 100% natural and helps with many things like hair, focusing, energy and so on.